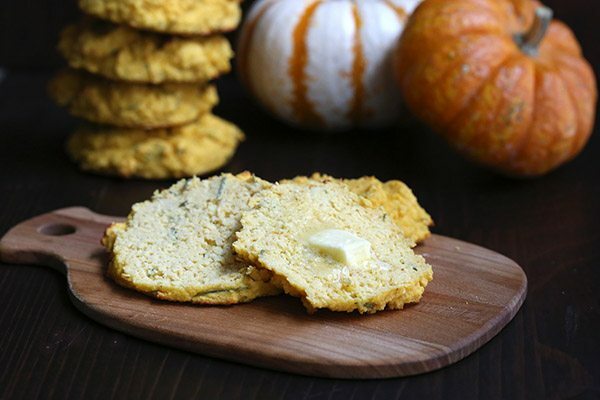 Tender low carb biscuits with pumpkin and rosemary. 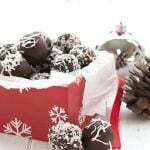 These are perfect for your healthy holiday gathering. Do you know it’s Diabetes Awareness Month? Do you know that November 14th is World Diabetes Day? Yes, I can see you turning away. Boring subject, right? Or maybe you did already know and you think it’s not really a big deal, that it doesn’t apply to you. I get it. I really do. 6 years ago, I didn’t think it applied to me either. And I certainly didn’t know there was a Diabetes Awareness Month. As a healthy, slender, active person, there seemed little need for me to pay it much mind. Many people feel the same way. So ask yourself this: Why is it that when diabetes is one of the fastest growing diseases in the world, we pay far more attention to breast cancer and heart disease? That is all. I am just asking you to be aware, whether or not you have it. It’s serious. But we are also lucky. As members of the low carb community, we are a huge part in fighting this disease. We are taking charge of our own health and, little by little, we are trying to change the way the world eats. Even if your friends don’t want to hear how bad all those carbs are for them, or even when they look at you in horror as you happily devour all the fat on your steak, you are helping to change perceptions, one little bit at a time. And when you offer your friend a cookie or a brownie or a bite of your cheesecake and they love it and can’t believe it’s low carb, you are really helping the cause. Changing the perception of this low carb diet as either unhealthy or unsatisfying helps more than you can possibly know. And as I do every year, I have teamed up with A Sweet Life Diabetes Magazine to drive awareness through delicious, low carb food. 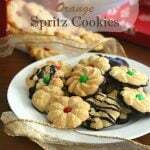 This year’s theme is holiday baking (YAY!). 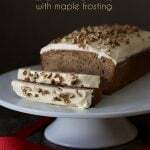 We have several talented bloggers contributing recipes and on World Diabetes Day (November 14th) we will be hosting a fun giveaway. Stay tuned. 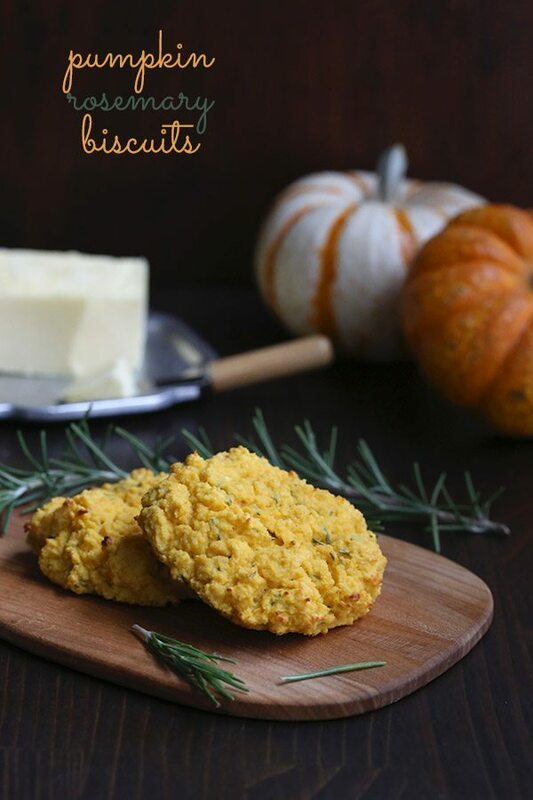 Serve these tender pumpkin rosemary biscuits on your holiday table and let’s get changing those perceptions! 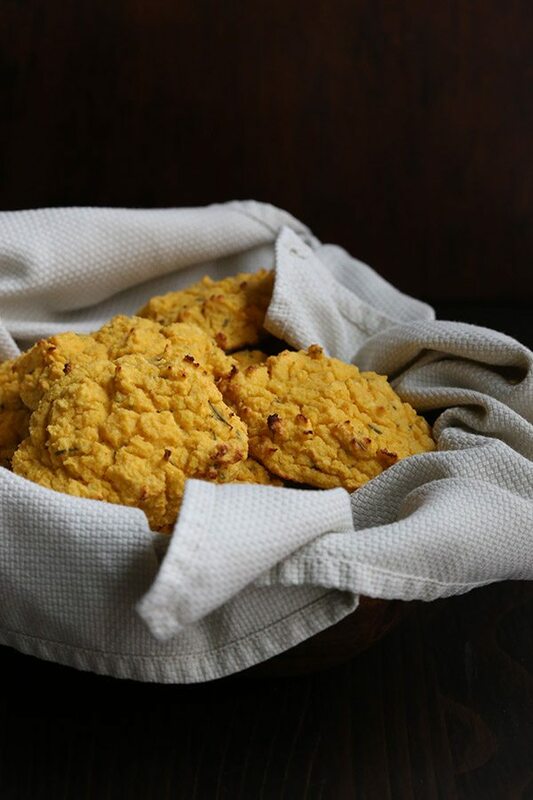 Please see my low carb Pumpkin Rosemary Biscuits on A Sweet Life. I take issue with “Even if your friends don’t want to hear how bad all those carbs are for them”. Carbs are only bad news for people whose pancreas and metabolism don’t work properly. Most people can eat as many carbs as they like IF they can secrete the right amount of insulin to cover it. I don’t know if you’ve read Jenny Ruhl’s book ‘Diet 101: The Truth about Low Carb Diets ‘ but in it she states ” … people who have normal blood sugars can lose weight on any diet that limits their calories”. In other words, for those people the overproduction of insulin will not lead to ‘excess’ carbohydrates being laid down as fat. This used to be the case for me: I was an insulin-dependent gestational diabetic in both of my pregnancies, the first at 150lbs (I’m 5′ 1″), the second at 125lbs. The weight loss I’d achieved effortlessly (despite still eating a relatively high-carb diet) made no difference. The two years after the birth of my second child I was back into pre-diabetes territory and unable to lose the weight that was beginning to creep up despite running three times a week, walking three miles every lunchtime and limiting my food intake to a sensible level, and knew that my body could no longer cope with the 140-odd grams of carbohydrate I was throwing at it per day. So I’ve cut back, with the blessing of my GP, to about 80g per day and that’s working well … for now. But I know that because of the two goes-round with insulin I will be permanently diabetic some day. But not today. So, after a rambling post, I think it’s important to know that carbs are the enemy of everybody. Only the bodies who don’t work properly. Herendethelesson! Actually, I have to say I highly disagree. While not everyone gets diabetes, the evidence is strongly coming out that high carb diets are bad for everyone and that excess sugar is one of the leading contributors to heart disease and many other health conditions. I suggest reading The Big Fat Surprise for an eye-opening look on how we have gotten the science of nutrition wrong for many, many decades. And “only the bodies that don’t work properly” when the vast majority of the nation (and much of the western world) is overweight? I’d argue then that most of the nation’s bodies don’t work properly, whether or not they are actually diabetic. Many of those people try calorie restriction and are miserable and can’t sustain it. Then they come to low carb and they love it and can sustain it. So while they may have a fully functioning pancreas, low carb is the only thing that gets them to a healthy weight and allows them to stay there. I did read much of Jenny’s work when I first realized I was diabetic, although not that book. But there are also some really great authors (Gary Taubes, Nina Teicholz) and doctors (Davis, Eenfeldt, Perlmutter) saying basically the opposite…that excess carbs are the enemy for everyone. So I stand entirely behind what I say here. And I think the evidence backs me up. These look wonderful. But your link is going to a snickerdoodle creme cookie. My grandparents had diabetes, my mom is borderline, I have had gestational diabetes many times and am pushing pre-diabetes. So, I’m just trying to fight it off and we all eat low-carb as a family because I don’t want my kids getting it, but if they do, they will definitely know how to eat! Thanks for your blog, Carolyn. You, your recipes and your information are awesome. Yes, “non-essential” to good health is a good way of putting it. Yes, I’m aware, but only since my niece was diagnosed T1D at the age of 14. Thanks for your blog and all the insights. I think there are a number of challenges to the low-carb messaging. Number 1 is the complete demonization of fat as an alternative to carbs. Fortunately, thinking is just starting to change as the results of new studies are released. Number 2, the economic interests of big pharmaceutical companies. Treating diabetes is worth billions of dollars to the pharmaceuticals industry. There is far more money to be made in selling drugs than there is in prevention or in finding a cure for diabetes. Number 3, the agriculture lobby works very hard to make sure that lots of servings of bread and whole grains are part of the sanctioned food pyramid. Along with personal commitment, there’s also the need for engagement at other levels. I tried to make a sweet version by leaving out the Parmesan and adding half a cup of erythrtitol and a tablespoon of pumpkin pie spice. The flavor was good, but I had to bake them another 15 minutes for them to hold together, and the texture was still just meh. Do I need to add fat to compensate for the Parmesan, or bake at a different temperature? Any suggestions would be much appreciated – flavorwise these could make a killer fall dessert! I don’t think the Parmesan makes that much of a difference, although it could. 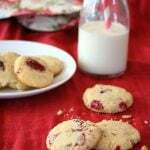 It can depend sometimes on your almond flour. If you aren’t using really well ground almond flour like Honeyville, you can get some texture differences. My best friend was a Type 1 diabetic. She died 4 1/2 years ago from a massive MI at 50 leaving behind a husband and a 16 yr old. She was very non-compliant. My father’s entire family are deceased from pancreatic type diseases and cancers. I am borderline diabetic and a nurse. You would think that I would get it and do my best to eat a diet that would protect me, but I have failed miserably. Thankfully there are people like you out there who continue to pound in the pavement the importance of a low carb lifestyle and diabetes awareness. Although, I did not realize that November is Diabetic awareness month or that November 14th is world diabetes day, I do now. Thank you for your tireless efforts. I am currently working with a physician at my hospital to extract data for a new diabetes program that he is trying to get off the ground. I am hoping that my efforts as a nurse informaticist I can make a difference too. Sounds like you are already making a difference, Joyce. Keep it up! I have a diabetic friend, who showed me the “diet” they gave her when she was diagnosed. I practically screamed at her to NOT follow it! She agreed – the doctor told her to experiment to see what foods bothered her. She ate food, took her blood, tested it, to see what raised her blood sugar levels. Ice cream didn’t raise it, but Doritos raised it to alarming levels. She saw the light, lost lots of weight, and is keeping her diabetes under control without insulin injections. So glad your friend is following something that keeps her in good health! I had type 2 diabetes, was very overweight, high blood pressure, etc. I went low carb on my Dr’s recommendation, after years of other Dr’s low fat diets that did not work. On low carb, I lost close to 100 lbs, CURED the diabetes, (thank the Lord it was type 2), and the high blood pressure meds are gone. I never did take insulin, even though my A1C was over 9, but decided instead to try the low carb method. My Dr says I no longer have diabetes, my A1C is now 5.4. So this is a life saving way of life! I’m having trouble with the link :-/.